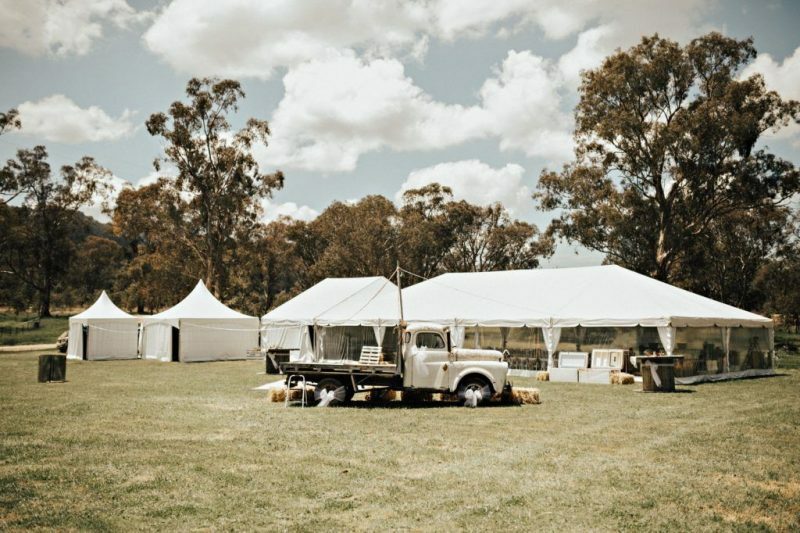 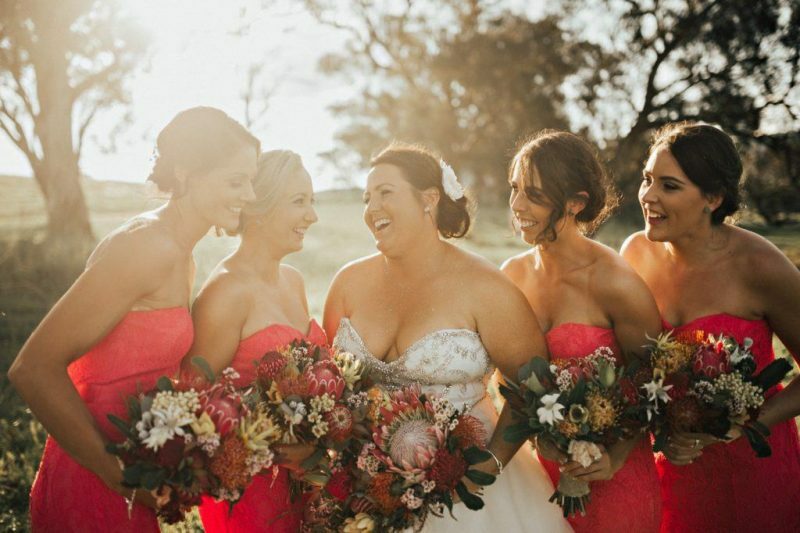 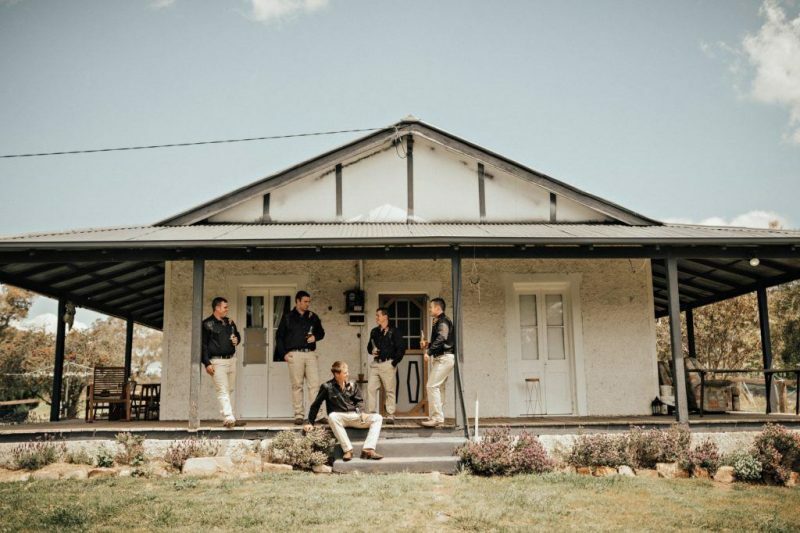 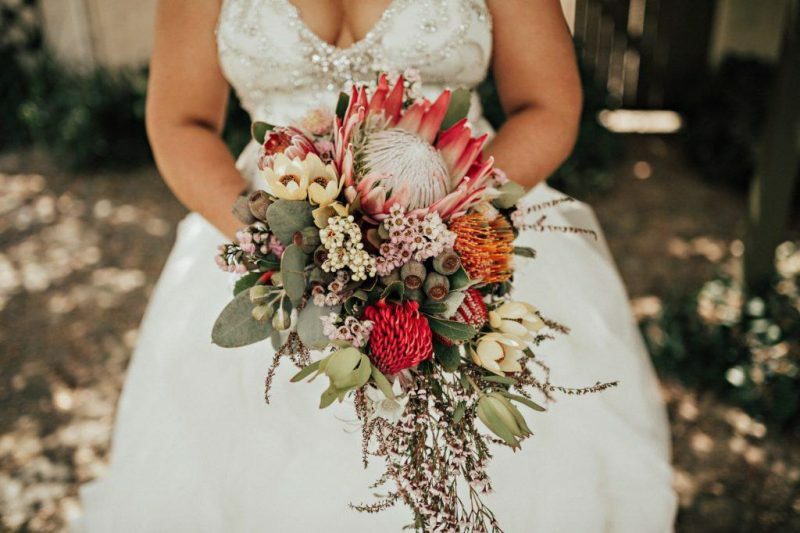 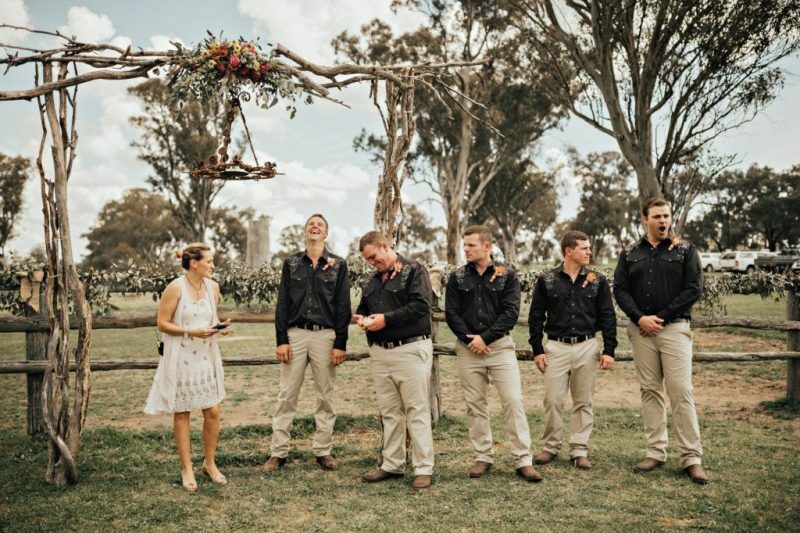 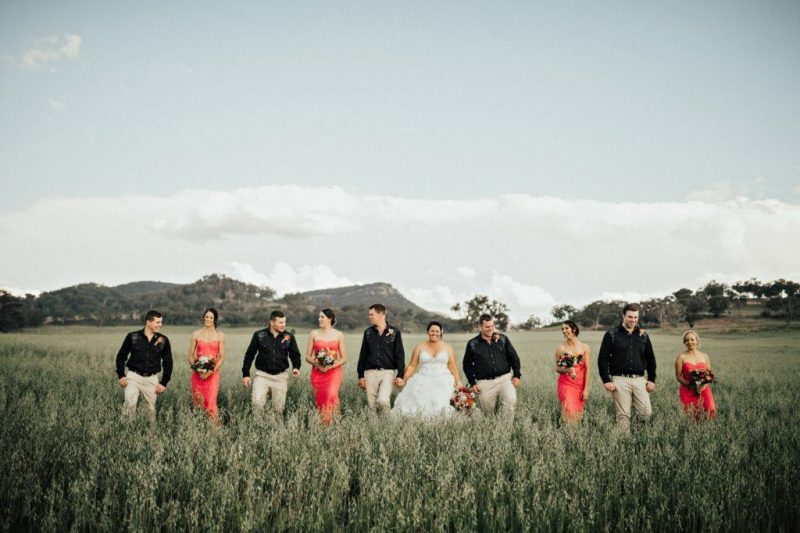 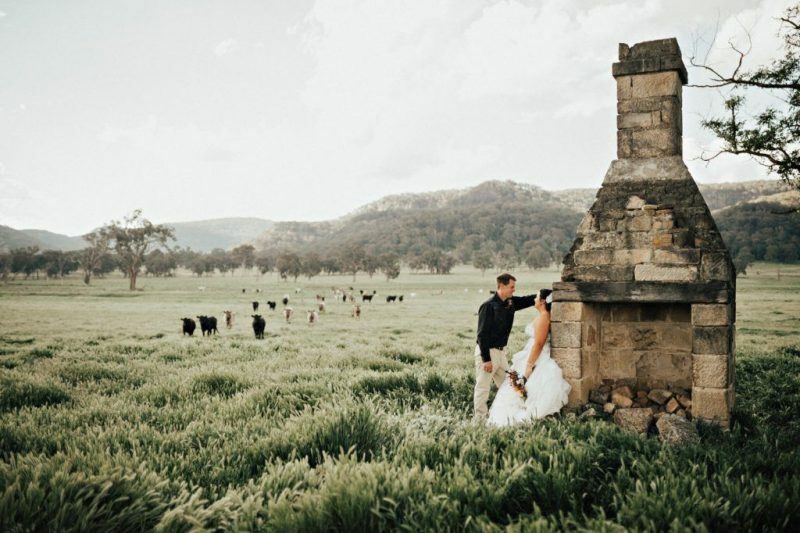 Willow Springs is a picturesque NSW country wedding venue located just outside Mudgee. 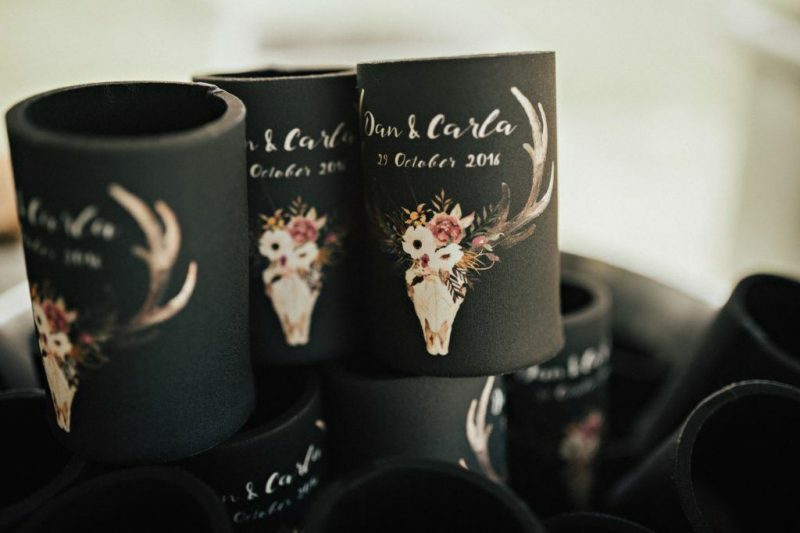 It also happens to be the home of Carla and Dan, who figured it was the perfect place for their own nuptials. 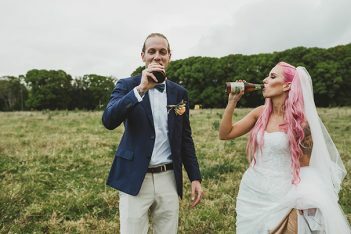 “We have an old wood and corrugated iron barn which we had the ceremony in and then had a open marquee for the reception. 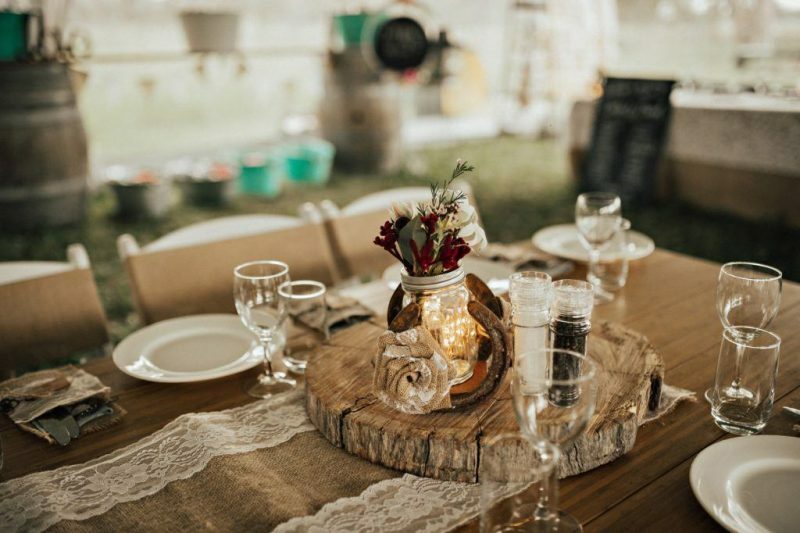 We wanted it to be relaxed and easy and for everyone to come and have a great time and dance the night away”, says Carla who added a few personal touches with a DIY arbour and wooden centrepieces. 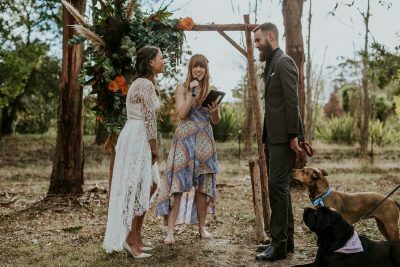 Tell us about how you met and the proposal? 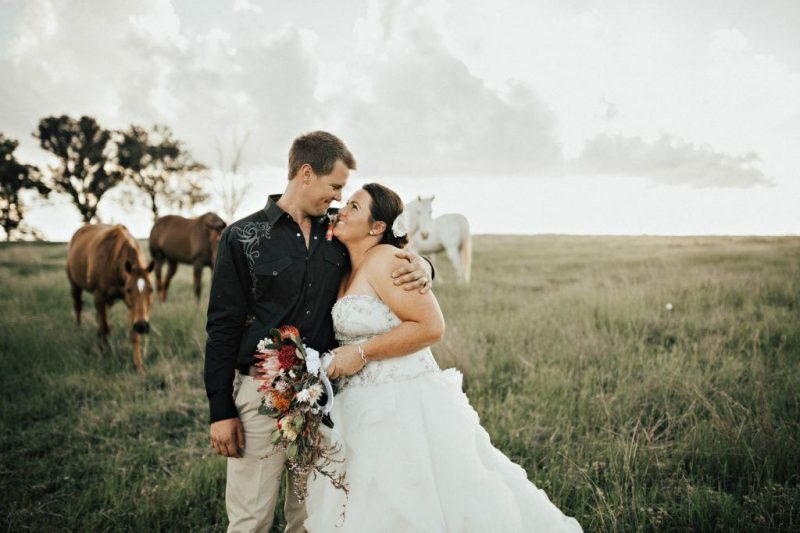 We met when I was 16 and Daniel was 17 at a mutual friend’s party, he liked I was wearing cowgirl boots and was a ‘horsey’ girl. 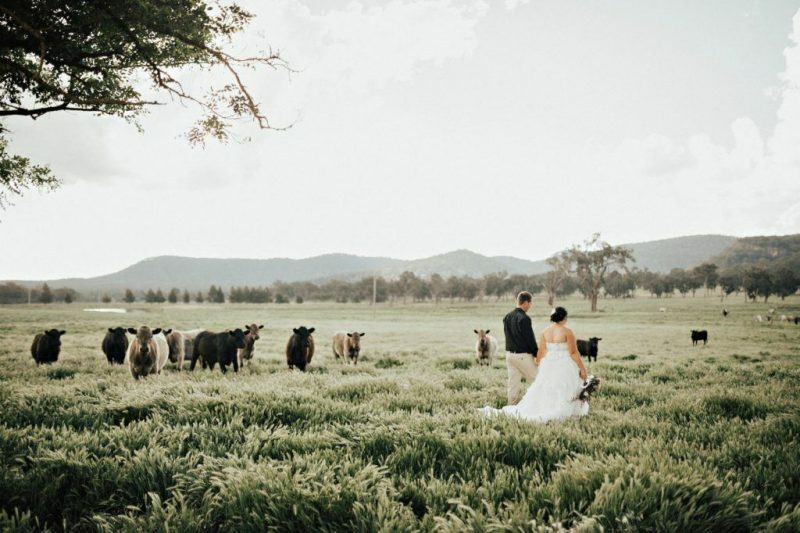 Daniel proposed over a home cooked three course meal in 2013 after being together for five years, after we had done a country move to Lue from the Hawkesbury area of Sydney. 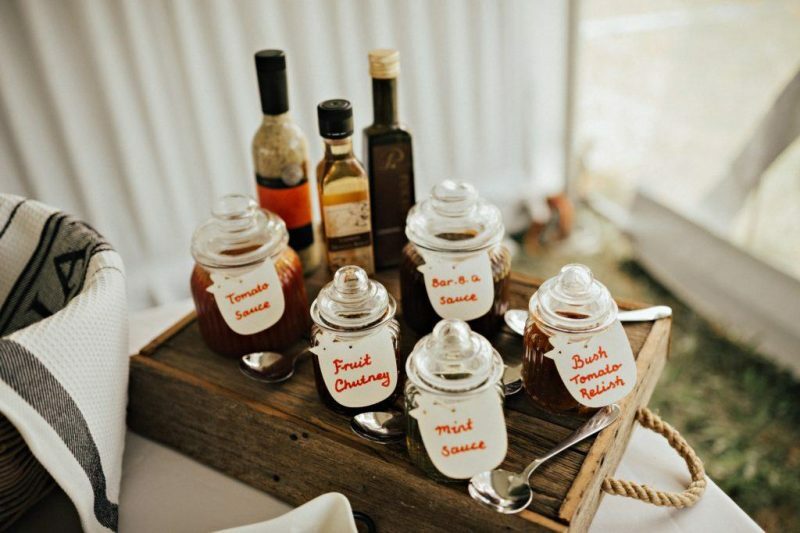 What DIY projects did you do accomplish for the wedding? 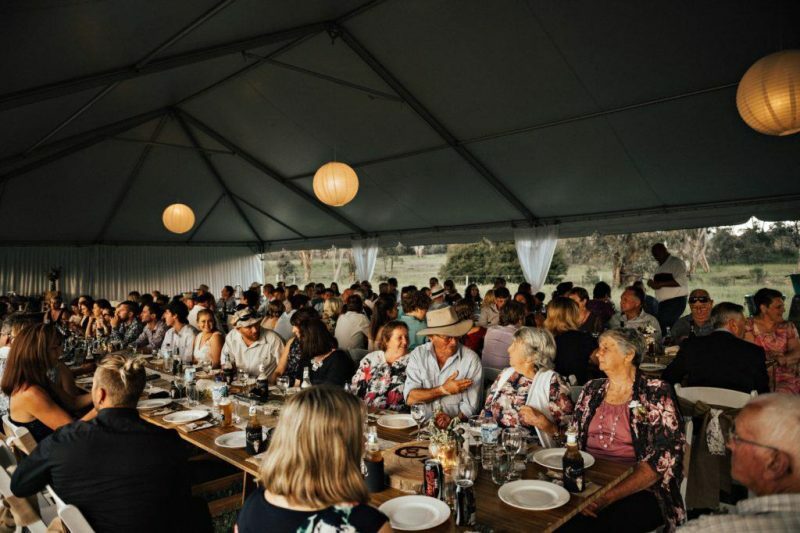 We built the arbour we stood under, restoration on the barn, branded our initials onto wooden centrepieces, made our horse show candle holders for the centrepieces. 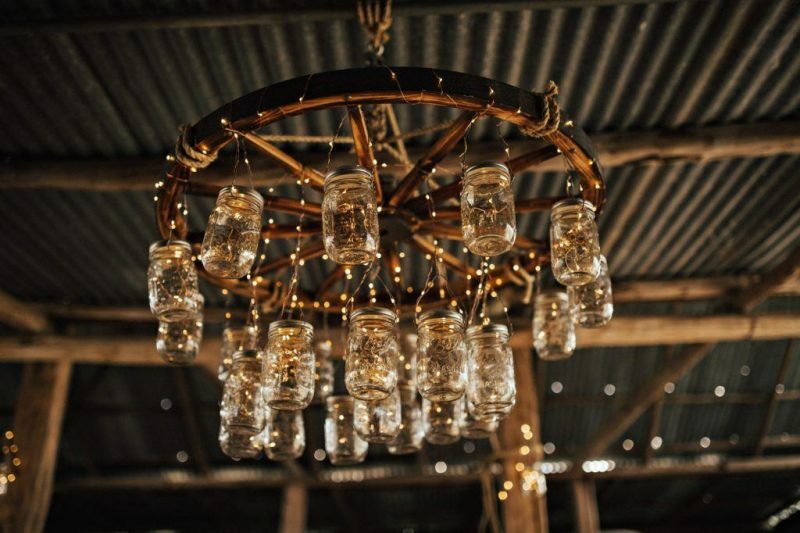 We also made a wagon wheel mason jar light and did all the styling. 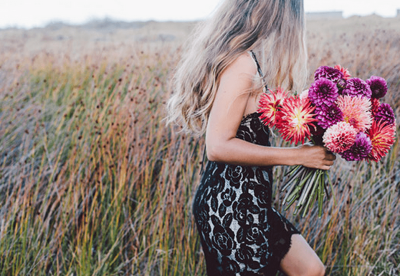 What sort of vibe did you want to create for the day? 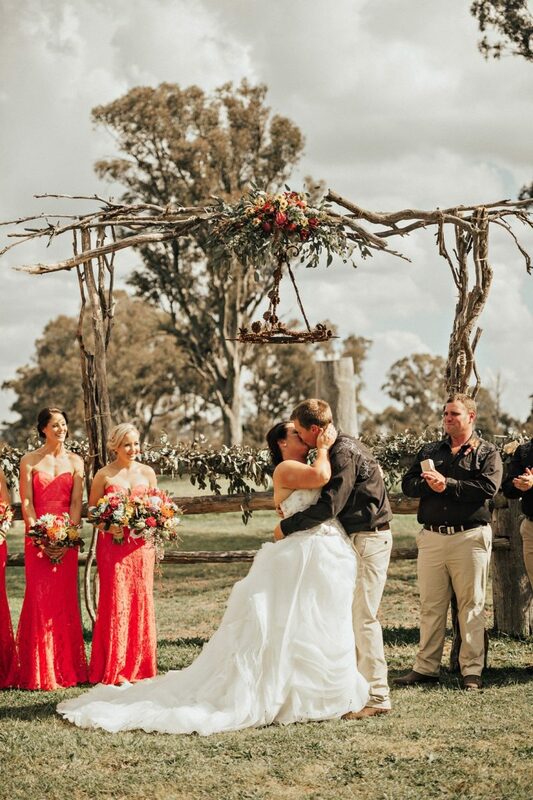 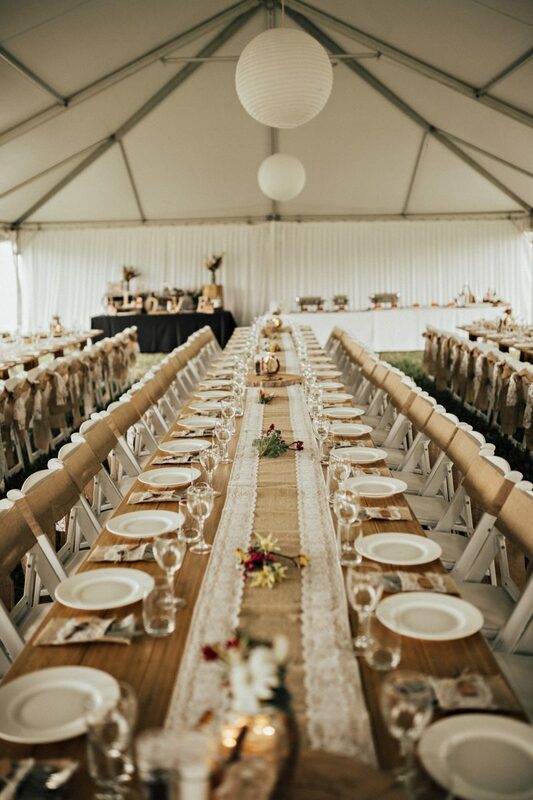 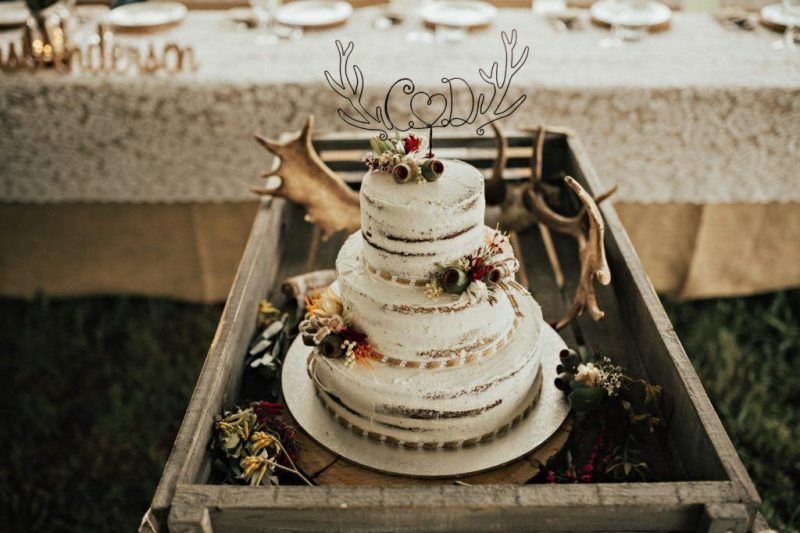 We had a rustic-chic country wedding. 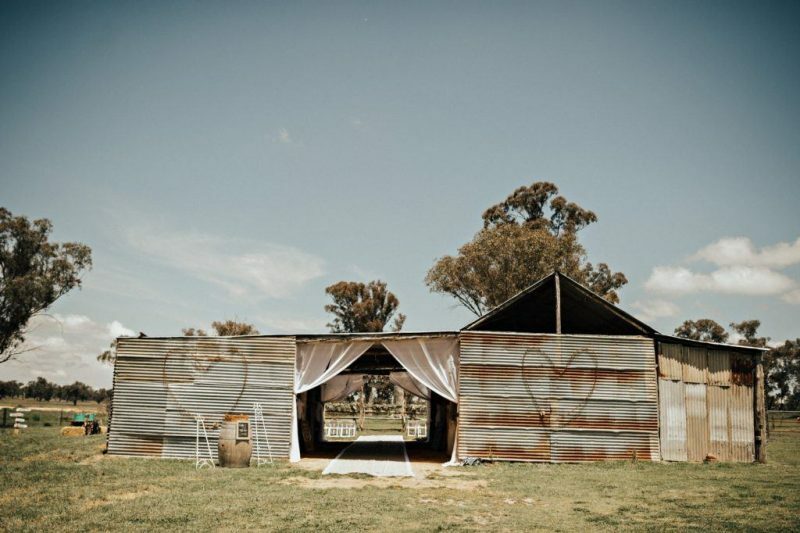 We have an old wood and corrugated iron barn which we had the ceremony in and then had an open marquee for the reception. 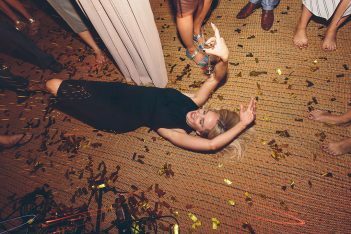 We wanted it to be relaxed and easy and for everyone to come and have a great time and dance the night away. 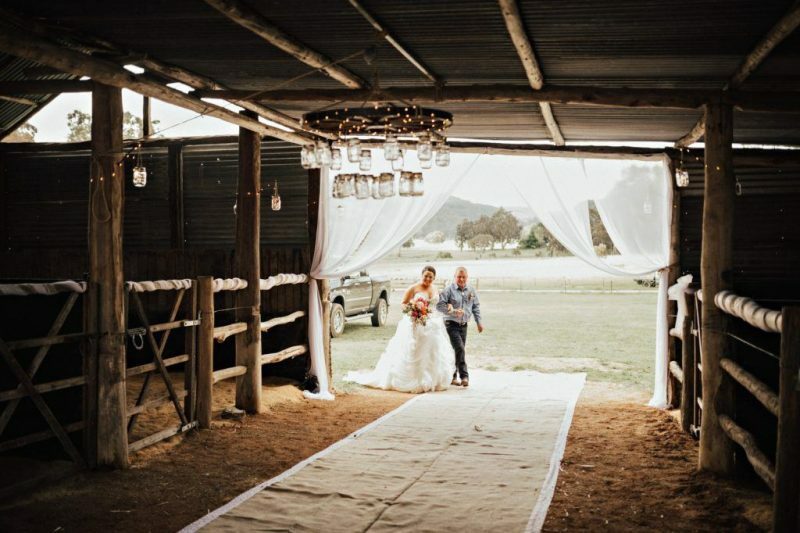 What advice would you give to other couples leading up to their big day? 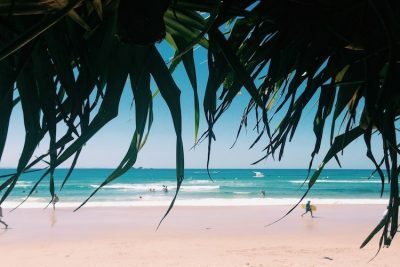 Enjoy it, don’t stress over the small things. 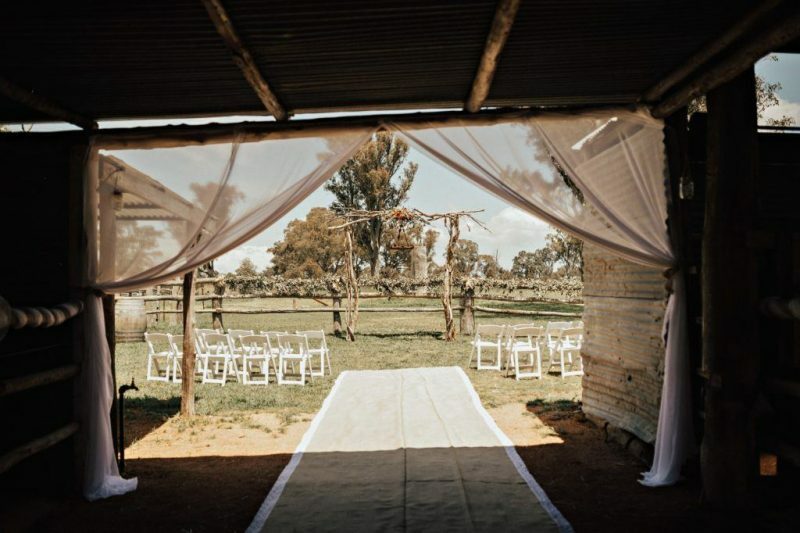 What will be will be. 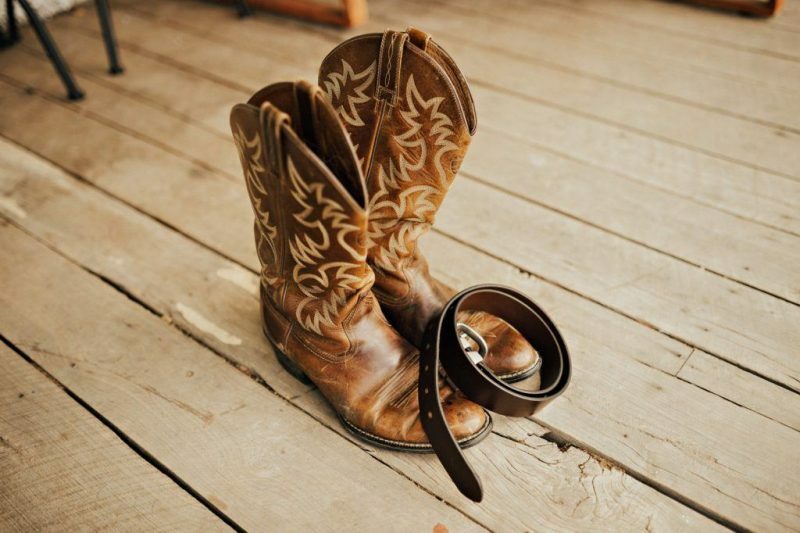 It’s a symbol of trust and commitment. 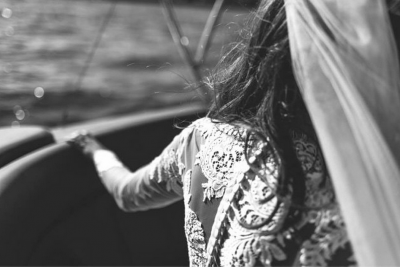 It’s a lifetime agreement that we want to be with each other and support each for the long haul. 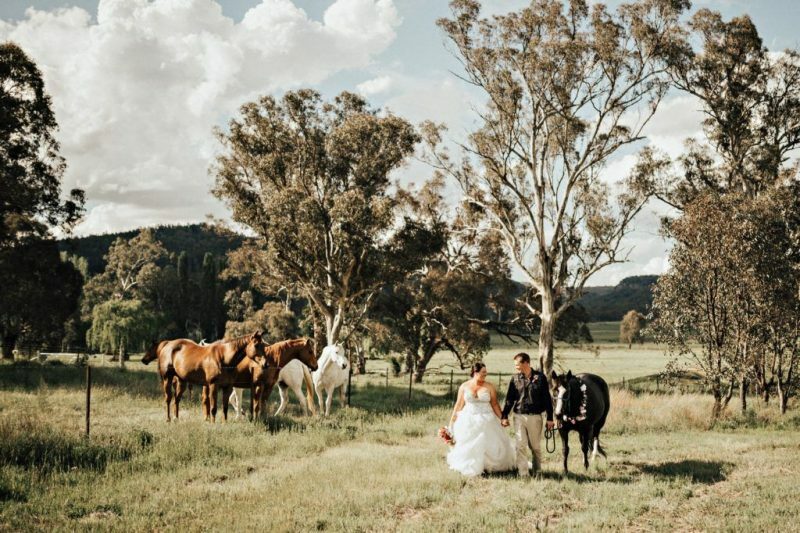 What was your favourite moment on your wedding day? 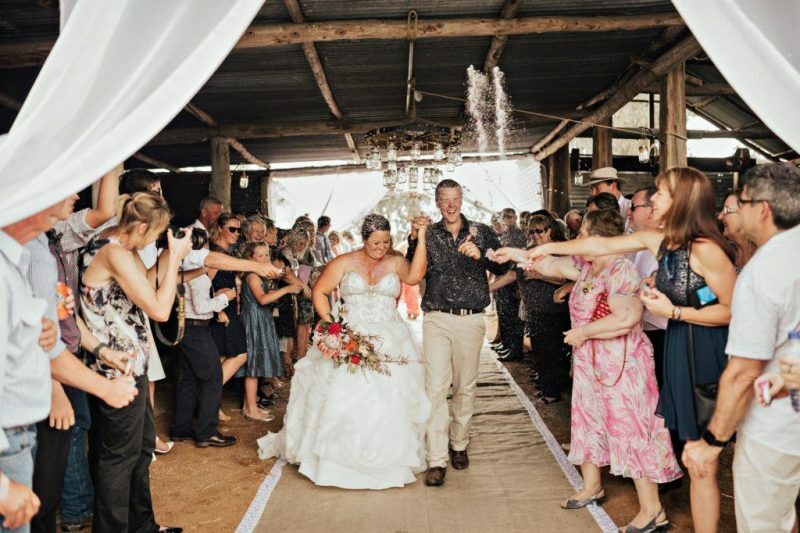 Walking down the aisle and seeing Dan at the other end. 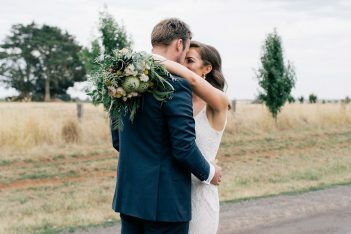 Get all teary when he saw me walking down the aisle. 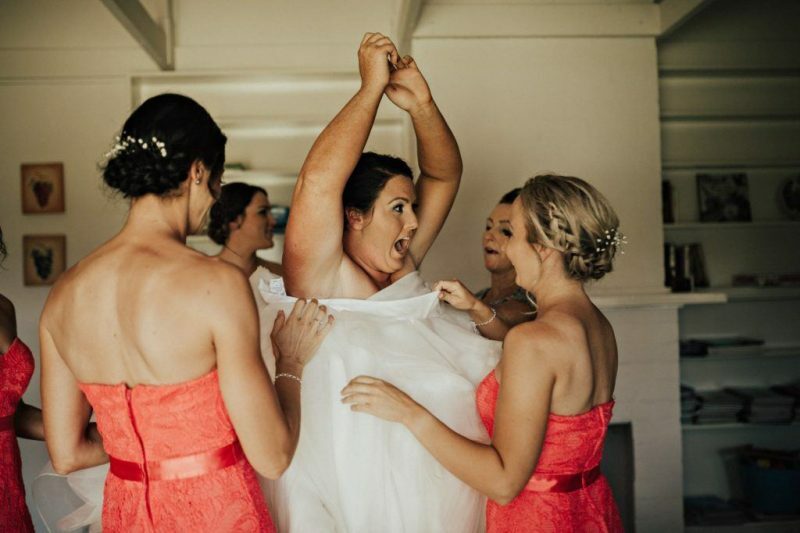 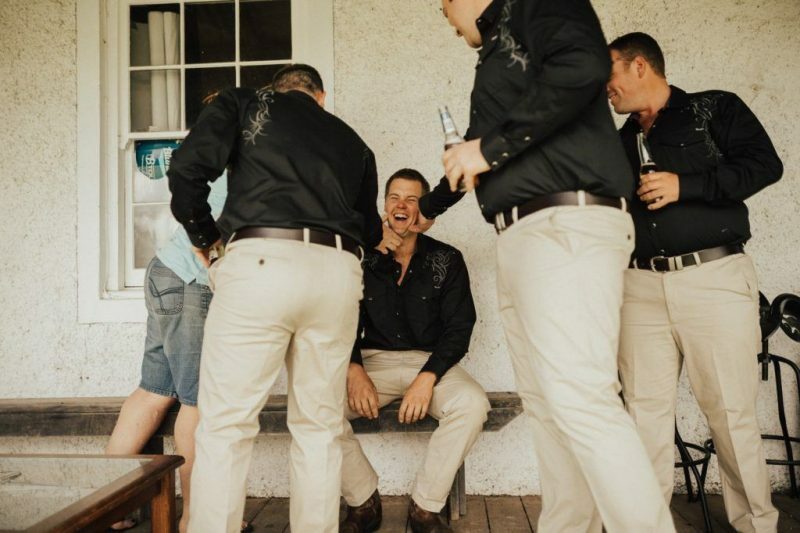 Tell us any funny stories that surrounded your wedding? 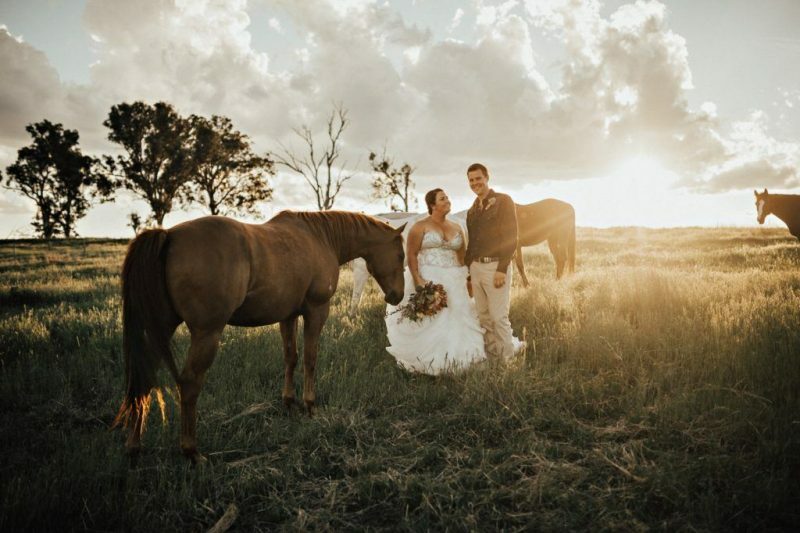 We were getting photos in our paddock with our horses in the background. 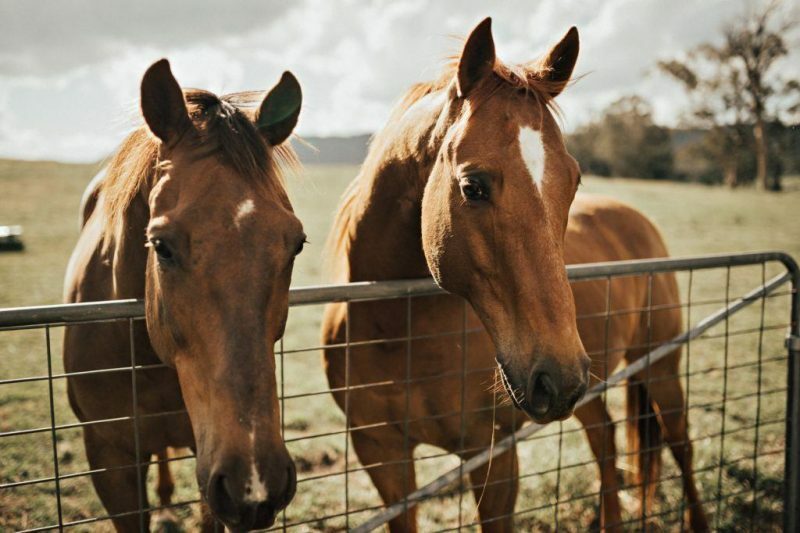 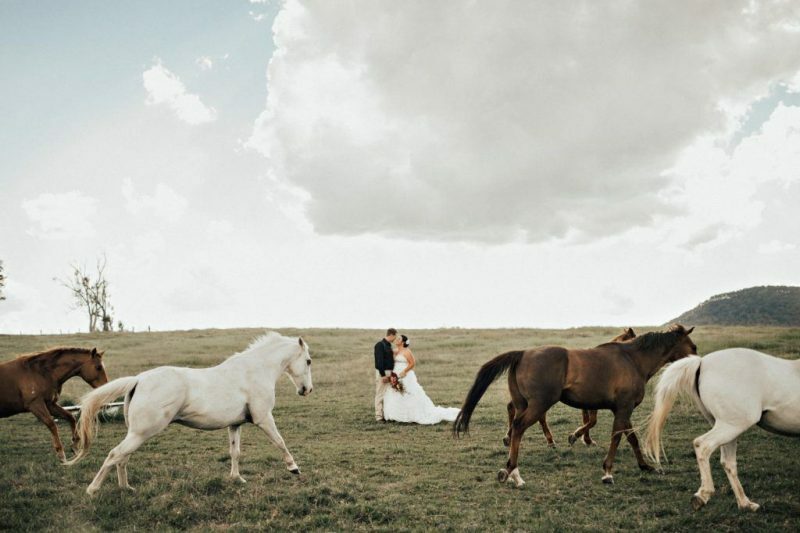 One of them is a real in-your-face horse and was being annoying so the photographer told us to walk away. 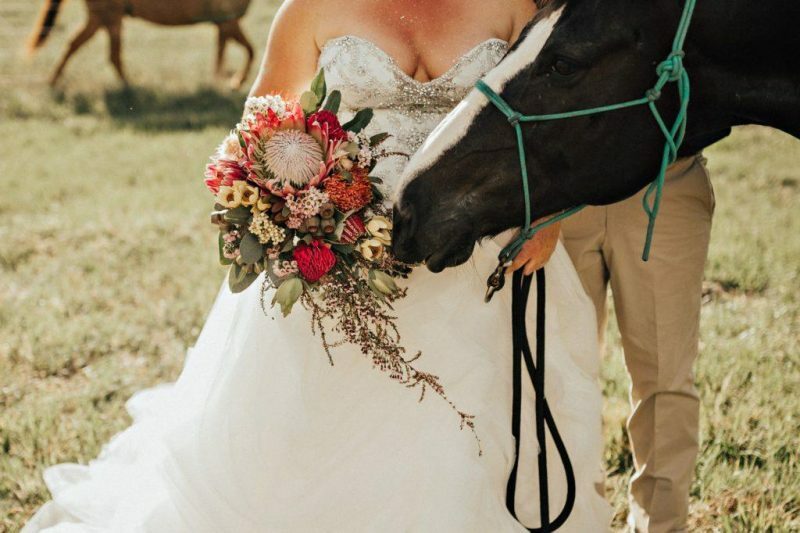 As we did, the horse picked up the trail of my dress and held it up like he was being a good bridesmaid. 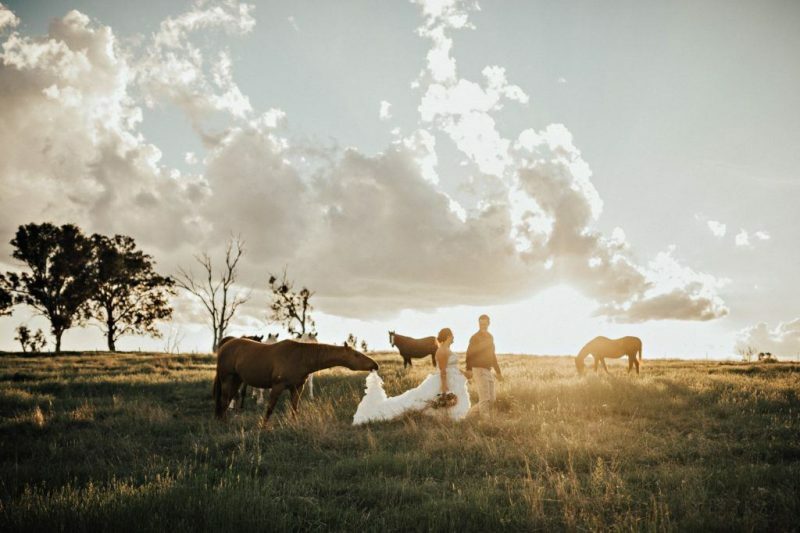 ‘A thousand years’ – Jess Holland (acoustic country cover). 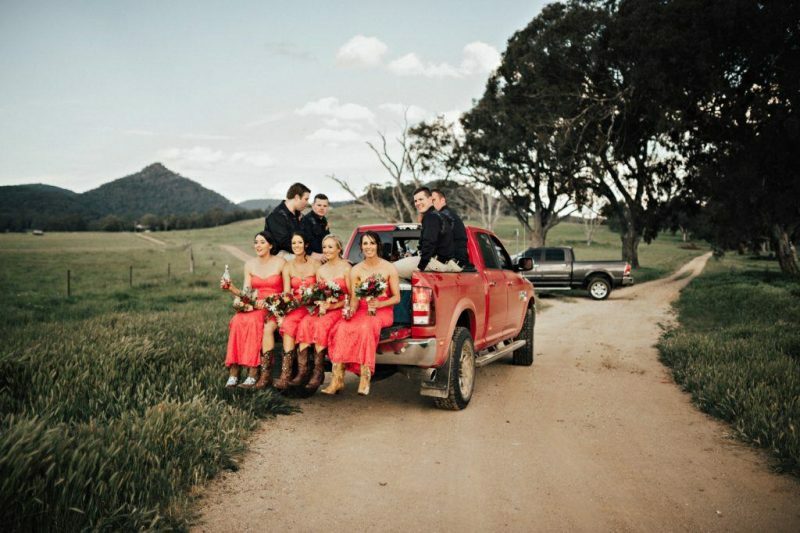 ‘Honey bee’ – Blake Shelton. 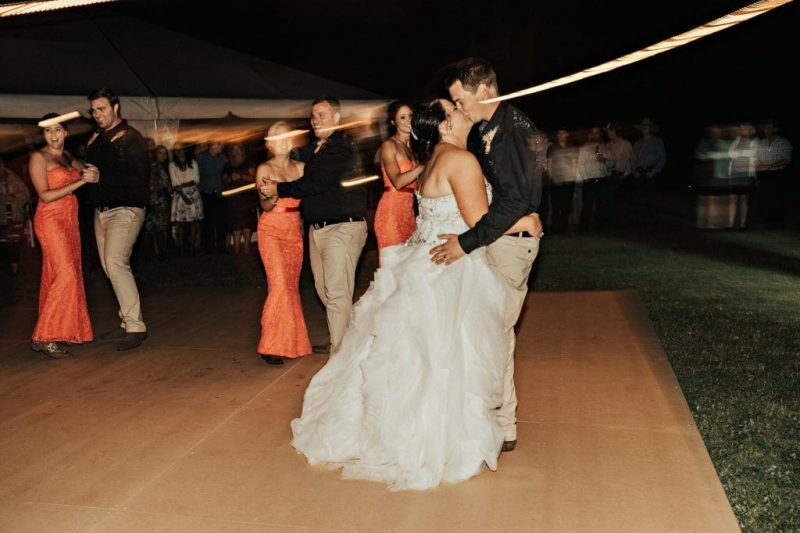 CREDITS: Photos Vicky Miller Photography // Ceremony and reception Willow Springs // Catering Jenna Croake // Styling Domayn Events // Bridal gown and veil Brides in Love // Bridesmaid dresses Smik Dresses Windsor // Groom and groomsmen suits Blowes // Rings Prouds // Grooms shoes Sheplers // Brides shoes Southern Fried Chics // Accessories Mb & Co // Hair Hair by Candice // Makeup Bella Medi Spa // Stationery Zazzle and Etsy // Music Jess Holland // Celebrant Kali Newcomb // Transport Central West Ram. 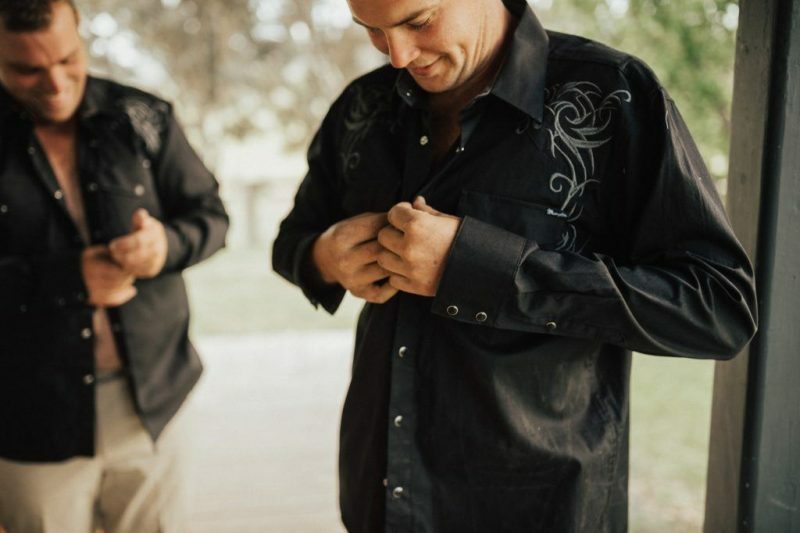 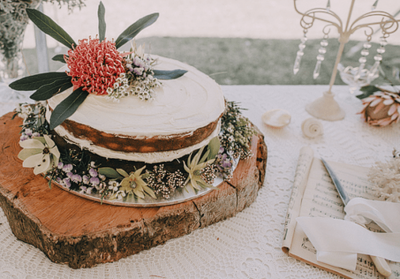 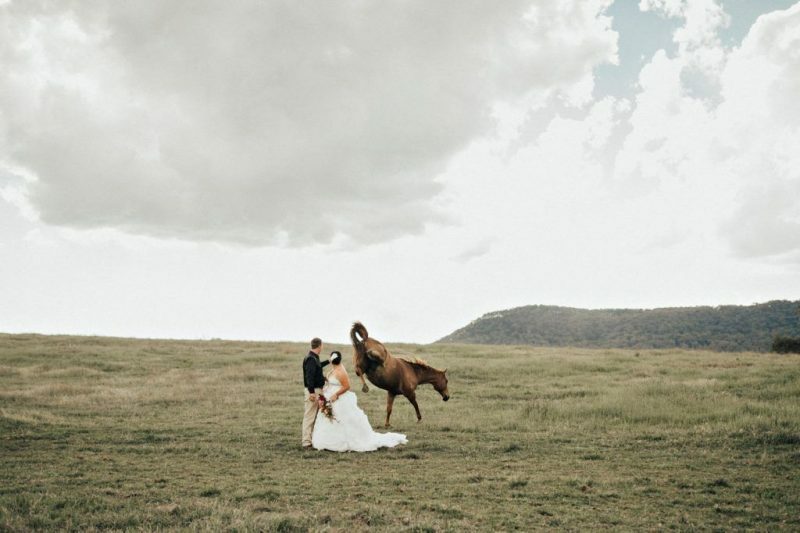 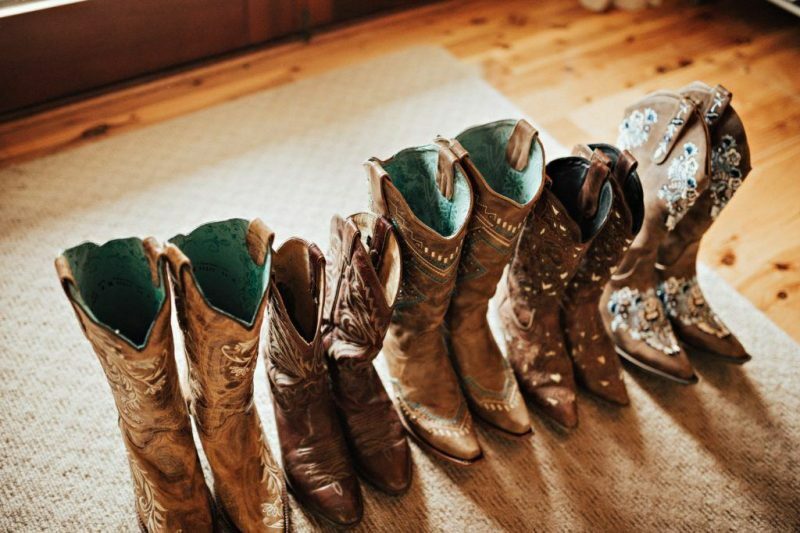 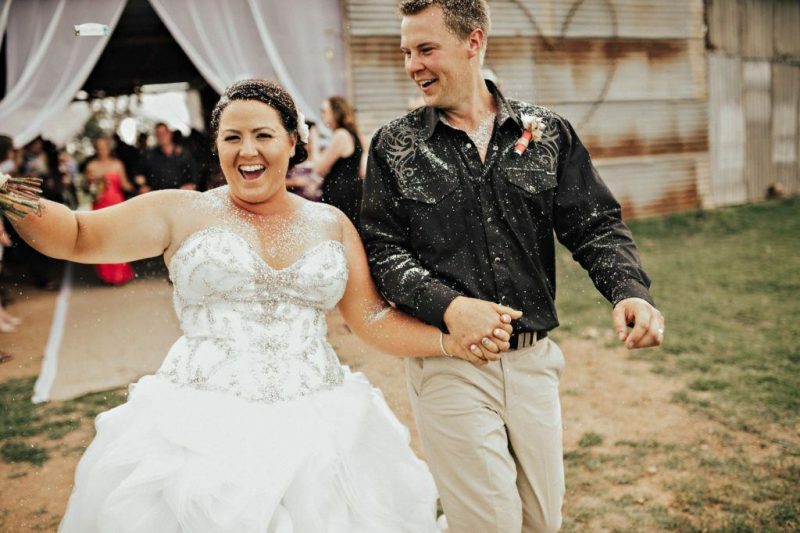 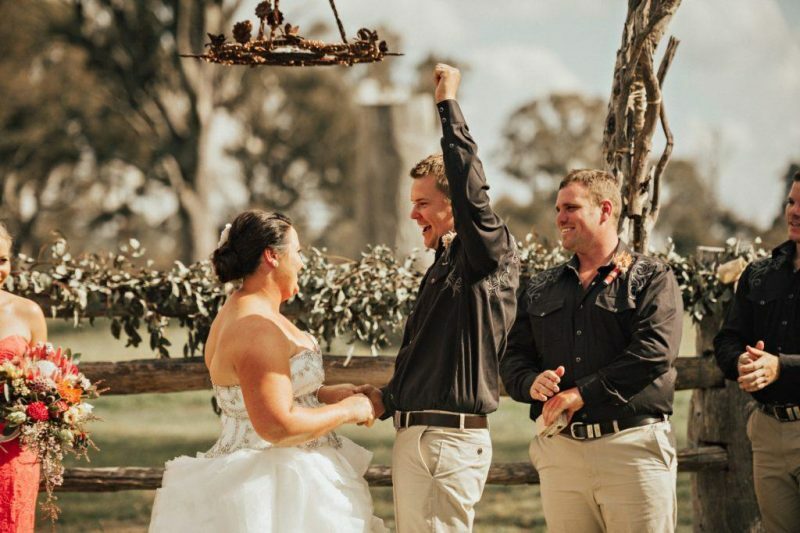 Want to find more country NSW wedding venues? 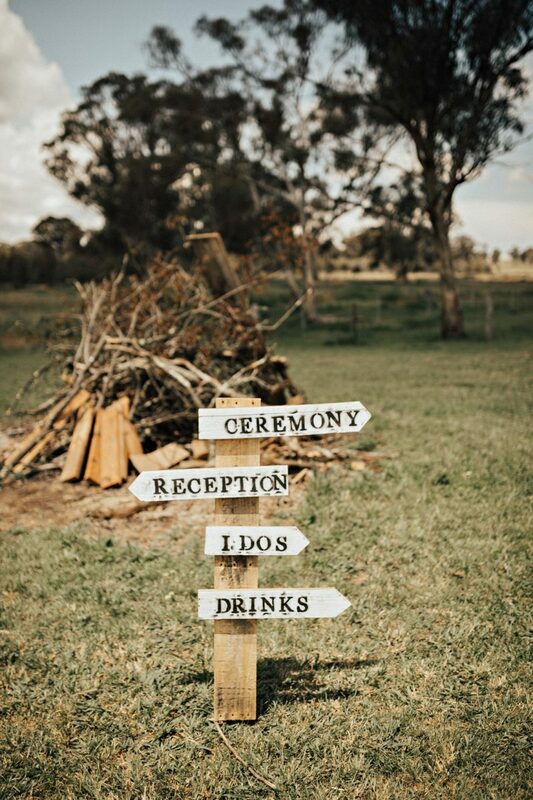 Right this way. 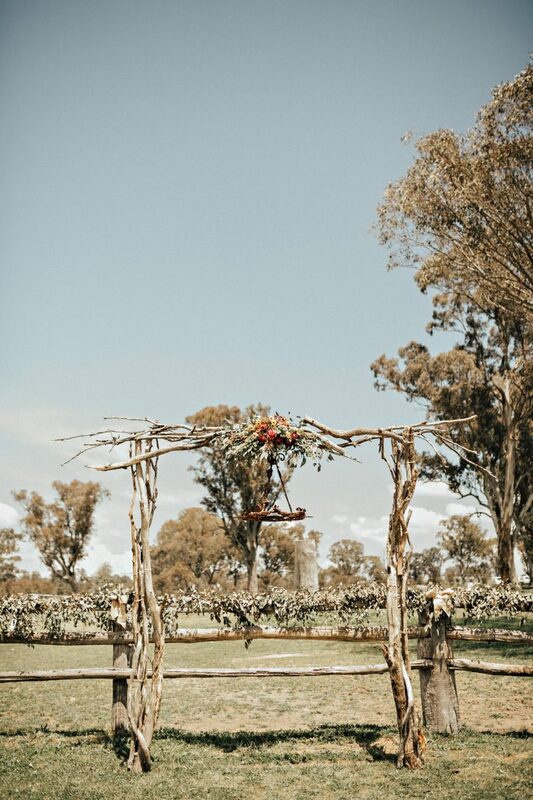 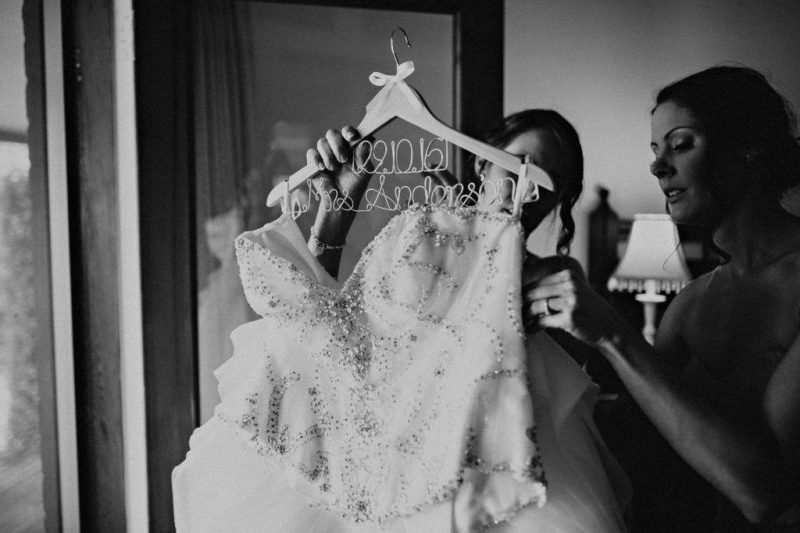 For more real wedding inspiration simply click here.